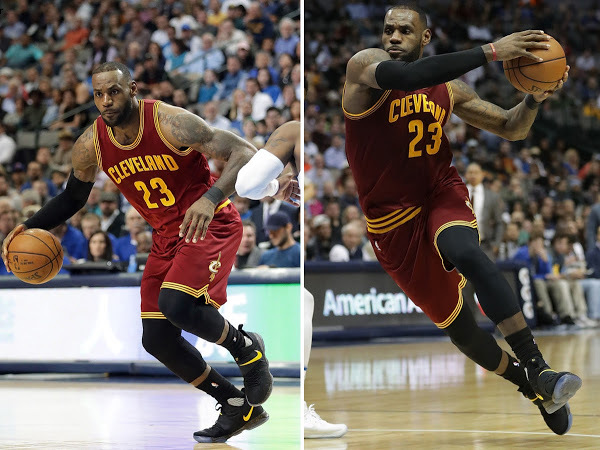 What If… Nike Added LeBron 2 Straps to the LeBron 14? By his own high standard LeBron James had an off night last night. 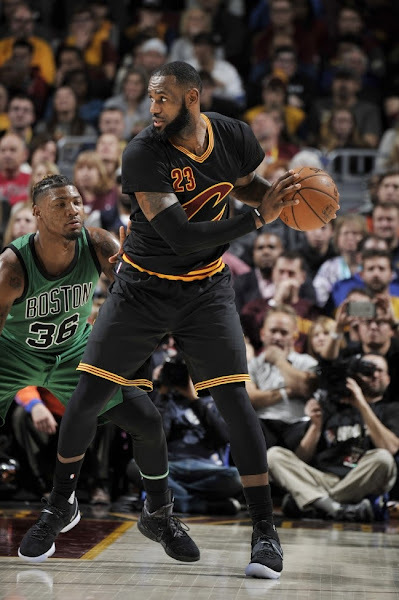 “I think I was horrible tonight,” James said. 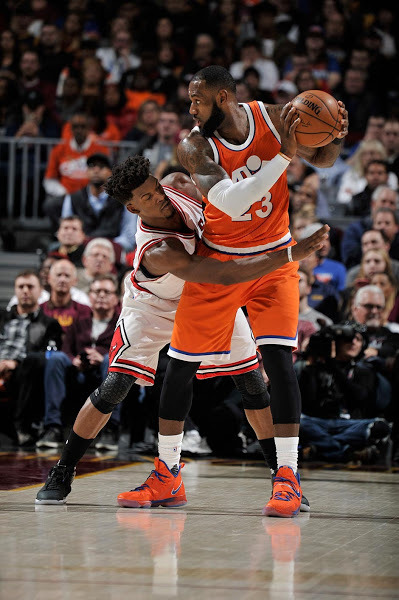 “In every facet of the game, I was just pretty bad, and it’s unacceptable. 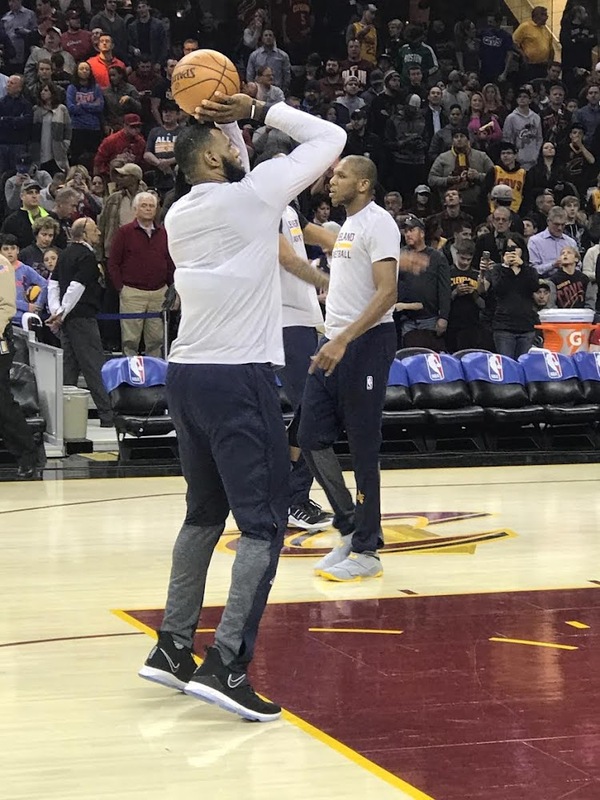 I can’t do that if I want to help this team get to where we want to get to. So if there was a report card, I’d give myself an ‘F’ for tonight’s performance. 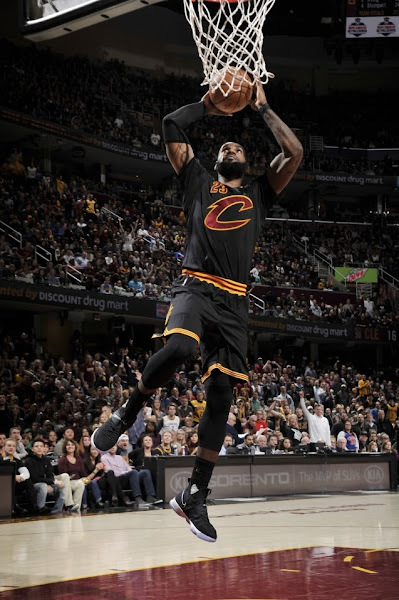 I just got to be better.” Despite nearly squandering a 20-point, second-half lead the Cavs pulled through and held on for a 124-118 win. 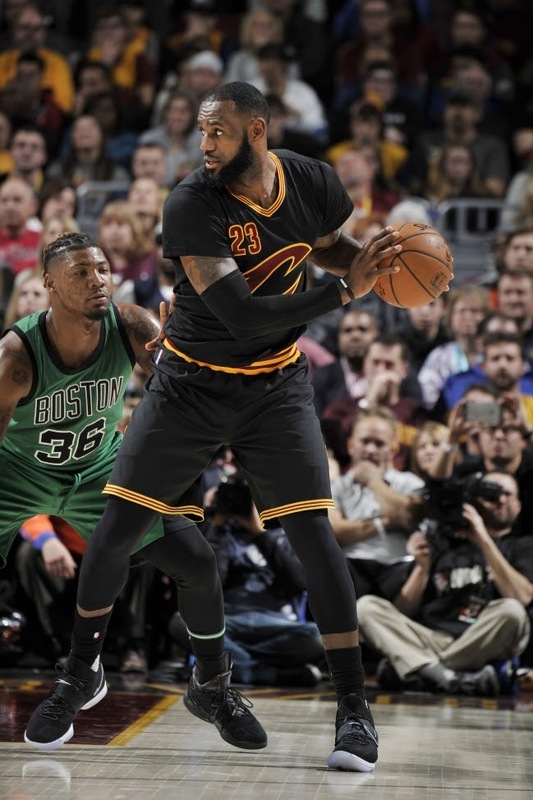 The King finished with 23 points, 8 rebounds, 11 assist and 8 turnovers. 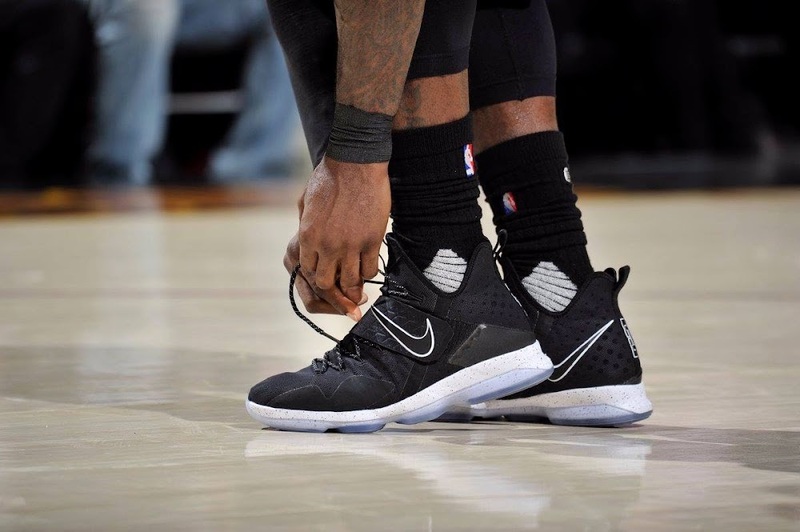 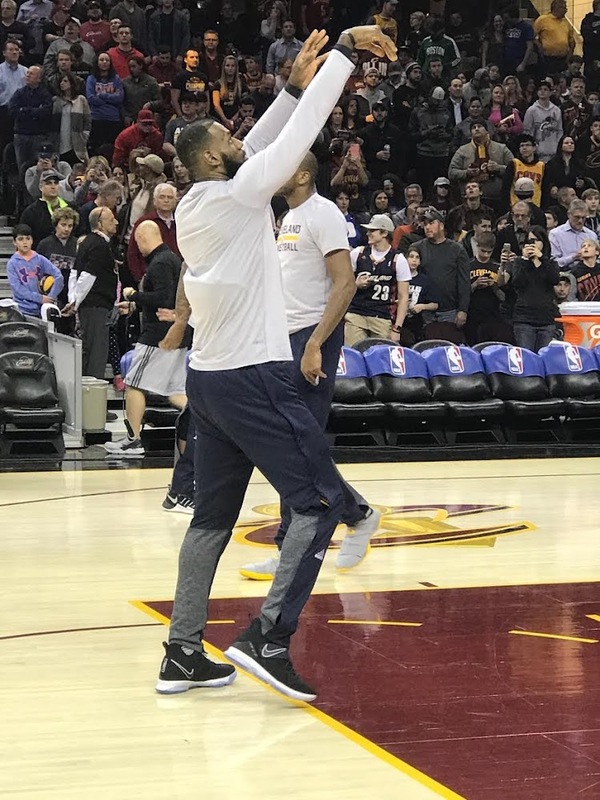 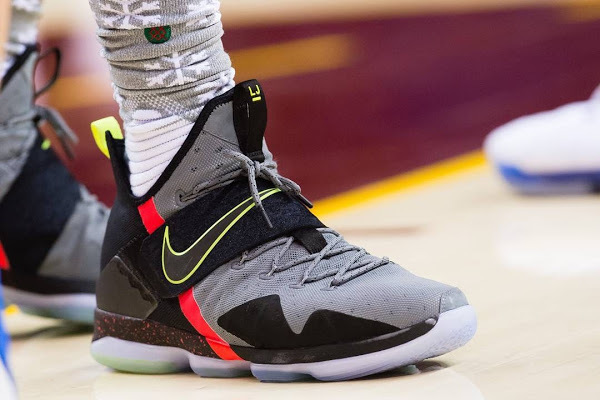 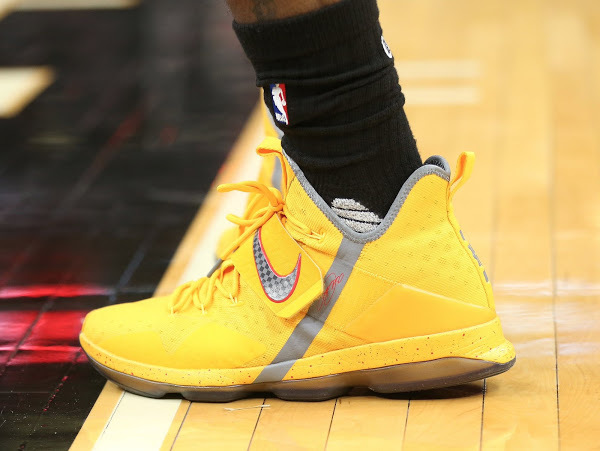 My eyes have been focused on his feet because after the Christmas Day debut, the rest the other night in Detroit, I knew we’re getting another look at the Nike LeBron 14. 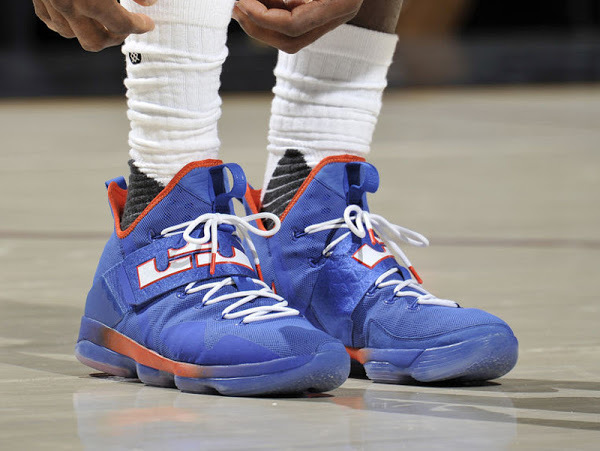 And since Nike is still silent about these… game photos is all we get for now. 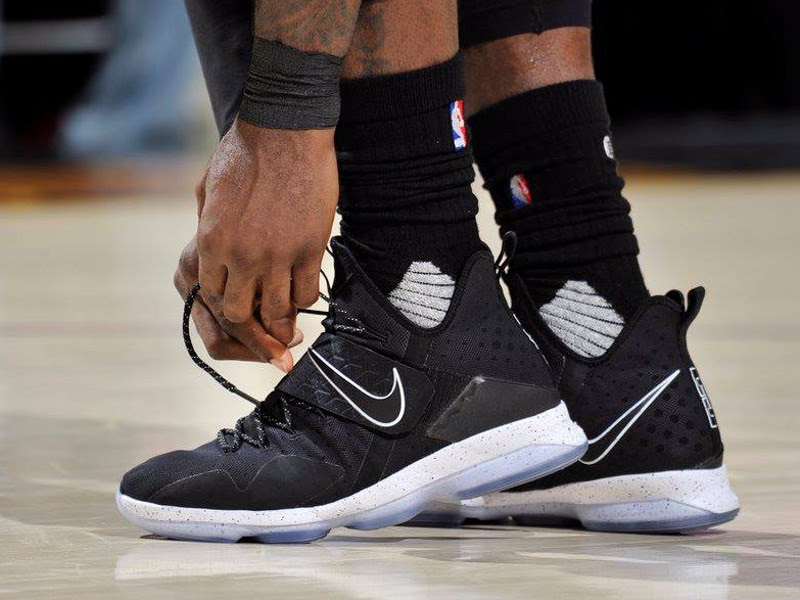 King James laced up the Black and White colorway, which he used in practice the day before. 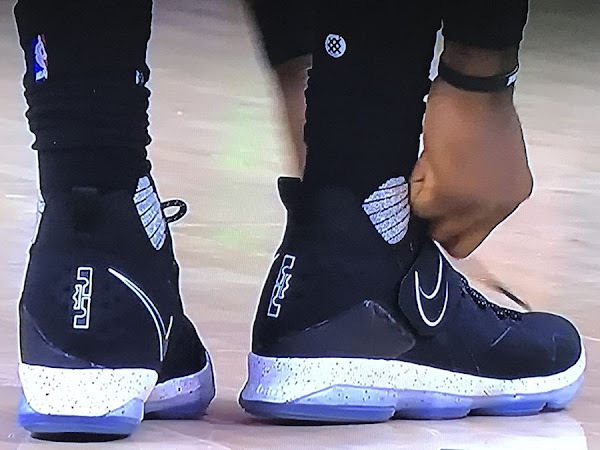 Fortunately he had to re-lace his shoes during the game hence we get the better close-up angles. 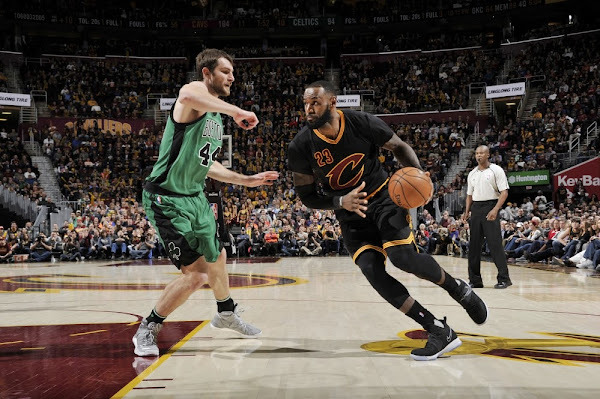 Scroll below to see the game pics and check out the updated NBA 2016-17 regular season timeline.